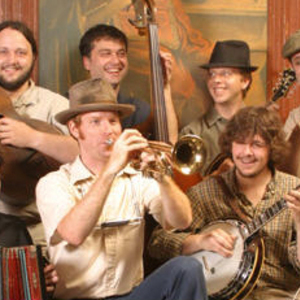 Jake Speed & the Freddies are a four-piece American folk, country blues, and ragtime band made out of flat top guitar, banjo, mandolin, and upright bass (plus harmonica, kazoo, washboard, and watering can). The Freddies traditionalist approach has won them the respect of fellow musicians, music lovers, and even critics. The readers of CityBeat Magazine voted them Best Local Musicians in 2004. The listeners of WNKU FM 89.7 voted The Freddies second album, Cincinnati Legends of Jeremiah. Schmidt, ..29 of their Top 89 Albums of 2003. The band is a four-time winner of the Cincinnati Entertainment Award (2001, 2002, 2003, & 2004) for Best Folk Musicians. They also won the 2002 CEA for Artist of the Year and Best Singer/Songwriter. Their winning of Best Folk Vocalist and Best Folk Band at the 2003 CAMMYs (Cincinnati Area Music Awards) put them on the definitive road of folk music in Cincinnati.